SETS, the leading provider of Human Resource Management Solutions (HRMS), will be participating in the “Lebanese Week in Muscat” event that will be held at the Oman Convention and Exhibition Centre in Muscat from 23 to 25 October, 2016. 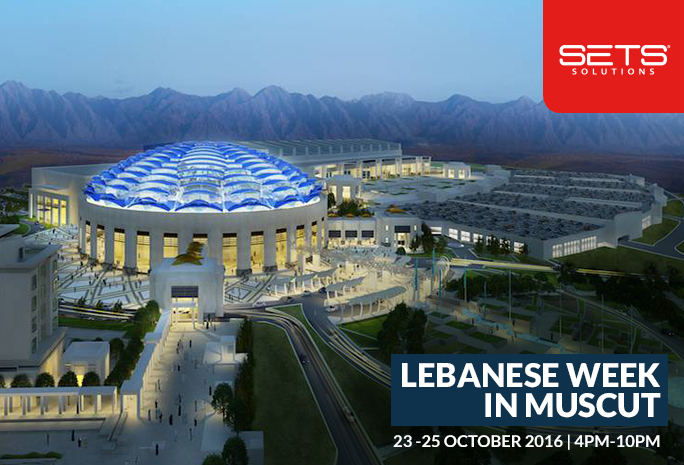 The “Lebanese Week in Muscat” is an effort from the Chamber of Commerce, Industry and Agriculture in Beirut to fortify and create business relationships with Oman. It also aims to market Lebanon in the Sultanate and expand horizons for Lebanese economic sectors in this promising market as well as developing bilateral economic, trade and investment relations between both countries. With more than 25 years of experience in the HRMS industry and over 1,000 references, SETS will be showcasing its fully integrated Human Resources Management Solution “People 365”, enabling businesses to easily automate and optimize the management of their HR operations through its Time Attendance, Payroll and HR streams. Visit our booth (D15) to meet SETS’ expert team and learn more about how “People 365” can benefit your business.